Hawaii’s marine aquarium fishery has faced years of concerted and repeatedly-failed efforts by anti-aquarium activists to end the collection of fishes, mostly through legislative efforts. It seems that each year, the opposition got closer to finding success. The reality in this fight is that aquarium fishermen and state employees who study and manage the Hawaii fishery had to successfully defend the practice at each and every turn, whereas the opposition only needed to succeed once, in order for the entire scenario to change. Ultimately it wasn’t legislation, but rather a court-based legal battle, taken via the appeals process to Hawaii’s Supreme Court after repeated losses in lower courts, that delivered a decisive victory for those opposed to the harvesting of fish from Hawaii’s waters when those fish are destined for aquariums. The Hawaii Supreme Court ruling, announced in September 2017, sent the case back to the circuit court. The First Circuit Court’s verdict, announced in late October 2017, brought the fishery to its knees, invalidating small net permits and demanding environmental review before these permits could be restored. Some loopholes allowed fishing to continue, though they made conditions more difficult for fishermen. Further measures enacted by Hawaii’s DLNR sought to close at least one large loophole, completely closing the West Hawaii Fishery in early January 2018. Since that time, aquarium fish from Hawaii have become scarce, prices have risen, and potentially hundreds of part- and full-time collectors are reportedly out of work. 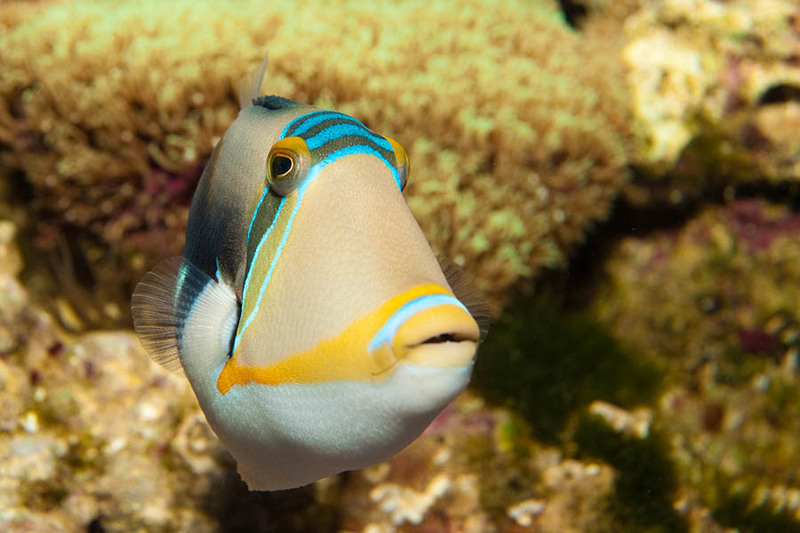 After months of relative quiet since the original Hawaii Supreme Court ruling, the arrival of spring brought Hawaii’s currently shuttered aquarium fishery back into the news with a fresh wave of updates. At the end of March, the Pet Industry Joint Advisory Council (PIJAC) in Washington, DC, announced that Draft Environmental Assessments (DEAs) had been created and submitted to Hawaii’s Office of Environmental Quality Control (OEQC). This was the first bit of good news in several months for the embattled aquarium fishery. What followed was a near-immediate response to this latest step in the legal process, with the Humane Society of the United States leading the charge to question the work. Meanwhile, PIJAC defends their work, and mainstream media outlets bringing their reporting to bear. The next step in this process is the solicitation of public commentary in response to the DEAs; instructions on how to submit comments can be found at the end of this article. Here is a recap of the latest chapters in the ongoing battle over the future of Hawaii’s marine aquarium fishery. This story may be updated if and when future resources become available. The Environmental Notice, April 8th, 2018 – Two summaries covering the West Hawaii and Oahu aquarium fisheries are furnished, along with links to the full draft environmental assessments. Draft Environmental Assessment, Island of Hawai’i, Commercial Aquarium Fishing Permits – This 180-page PDF is the full draft environmental assessment submitted by Hawaii’s DLNR, covering the West Hawaii Fishery, which is the main aquarium fishery in the state of Hawaii. Draft Environmental Assessment, Island of O’ahu, Commercial Aquarium Fishing Permits – This 149-page PDF is the full draft environmental assessment submitted by Hawaii’s DLNR, covering the island of O’ahu. HSUS and Partners Criticize Draft Environmental Assessments of Hawaii’s Marine Aquarium Fishery – The Humane Society of the United States released strong criticisms of the DEAs levied by members of Earthjustice, For the Fishes, Conservation Council for Hawai‘i, and the Center for Biological Diversity. Hawaii’s Marine Aquarium Fishery Debate Moves Forward With Environmental Assessments – PIJAC’s Robert Likins summarizes their efforts in support of Hawaii’s marine aquarium fishermen and provides a brief background on how the DEAs were created utilizing Hawaii state data, along with cooperative efforts of multiple parties. Hawaii’s Contentious Inshore Fisheries, By The Numbers – Dr. Bruce Carlson, former Director, Waikiki Aquarium (1990 – 2002), retired Chief Science Officer at the Georgia Aquarium (2002-2011), reflects on the shifting tactics of those opposed to Hawaii’s Aquarium Fishery and the actual, true nature of fishing in Hawaii, as demonstrated by the numbers. Department of Land and Natural Resources, attention David Sakoda, 587-0104, david.sakoda@hawaii.gov, 1151 Punchbowl St., Room 330, Honolulu, HI, 96813. Pet Industry Joint Advisory Council, on behalf of Hawaii fishers, attention Jim Lynch, jim.lynch@klgates.com, 925 Fourth Ave., Suite 2900, Seattle, WA, 98104. That the fishery has been sustainable for many years, and will continue to do so. State aquarium for over 20 years.If you read the AQ fish forums you will see that MANY of our tropical saltwater aquarium fish live 3 to 4 times longer in home aquariums than they would normally do in nature. Did you even contribute to Pijac? You have not been part of the solution, you do not participate. The impact to the fishermen in Hawaii is enough to reconsider lifting the ban on collection, but the impact on the future of reefs is even more important. If people are unable to have these fish and corals in their homes, they will lose touch with just how beautiful they are. People are only going to love and seek to protect that which they value. Without access to the few beautiful creatures that only come from the waters around Hawaii, people will forget them and no seek to protect them through conservation efforts. It is a good thing to regulate and control collection to ensure a vibrant and healthy ecosystem. All out banning any collection is overreaching, and ultimately damaging. Please allow access in a responsible manner to Hawaii’s marine life….thus ensuring they are admired by the whole world and encouraging people to act responsibly to preserve our oceans. The impact to the fishermen in Hawaii is enough to reconsider lifting the ban on collection, but the impact on the future of reefs is even more important. If people are unable to have these fish and corals in their homes, they will lose touch with just how beautiful they are. People are only going to love and seek to protect that which they value. Without access to the few beautiful creatures that only come from the waters around Hawaii, people will forget them and no seek to protect them through conservation efforts. It is a good thing to regulate and control collection to ensure a vibrant and healthy ecosystem. All out banning any collection is overreaching, and ultimately damaging. Please allow access in a responsible manner to Hawaii's marine life....thus ensuring they are admired by the whole world and encouraging people to act responsibly to preserve our oceans. Thank you. Dan, Did you even contribute to Pijac? You have not been part of the solution, you do not participate.